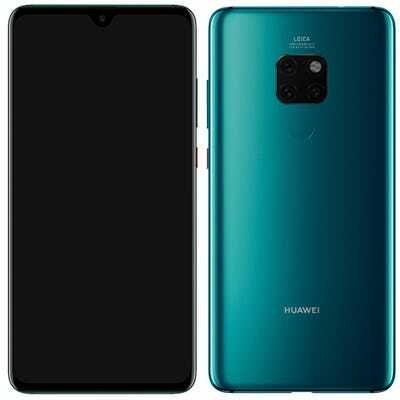 Huawei on Tuesday unveiled the Mate20 and Mate20 Pro to take on Apple’s iPhone XS and Google’s Pixel 3. The Mate20 Pro boasts an on-screen fingerprint reader, meaning Huawei beat Apple in taking the feature mainstream. The Mate20 starts at $AU1,099 and the Mate20 Pro at $AU1,599. Both will be available on November 1. 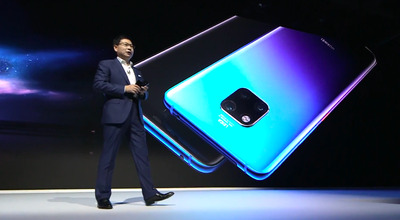 Huawei, the world’s second-biggest phone maker behind Samsung, unveiled the Mate20 and Mate20 Pro to take on Apple’s iPhone XS and Google’s Pixel 3 at an event in London on Tuesday. Huawei is hoping that major performance improvements to the Mate series – including on-screen fingerprint recognition, a triple-lens camera system with artificial-intelligence software, and phone-to-phone charging – will cement its position ahead of Apple. The devices are bigger successors to last year’s Mate10 and Mate10 Pro. The Mate20 comes with a 6.53-inch full HD display, while the Pro model comes with a 6.39-inch curved OLED display. The Mate 20 has a subtle teardrop-shaped notch. The Pro model has a larger one akin to the iPhone XS Max’s, though Huawei says its notch is marginally smaller. 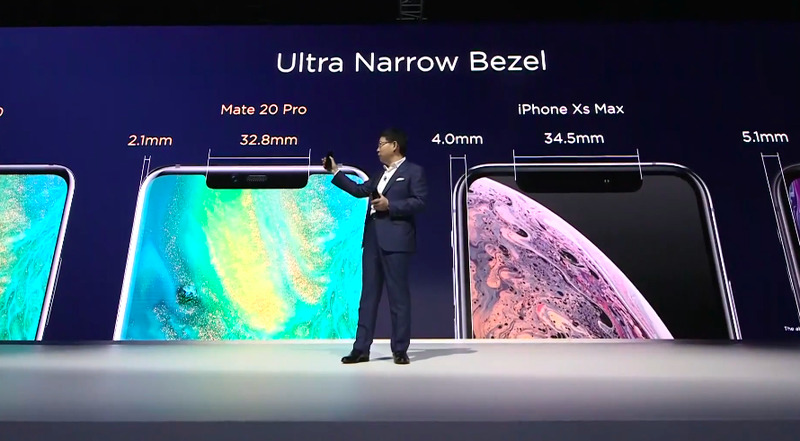 Shona Ghosh/Business Insider/HuaweiThe Mate 20 Pro’s notch is a little smaller than the iPhone XS Max’s. It’s not the first Android phone to feature on-screen fingerprint recognition, but it’s certainly one of the few major flagship smartphones released this year to feature the technology. The OnePlus 6T, set to be released in November, is also expected to have it, while the iPhone XS and XS Max notably lack it. The Mate20 phones also feature 3D facial recognition so a user can unlock their phone with their face, similar to Face ID on the iPhone XS and XS Max. The Mate20 Pro features a triple-lens system, with a 40-megapixel camera, an 8-megapixel telephoto lens, and a 20-megapixel ultrawide lens that together form a distinctive-looking square on the rear of the phone. The system allows for highly detailed macro shots. Shona Ghosh/Business Insider/HuaweiThe twilight colour of the Mate20 and Mate20 Pro. “Huawei will have a nice commercial window of opportunity to benefit from the seasonality of sales last year,” he told Business Insider.